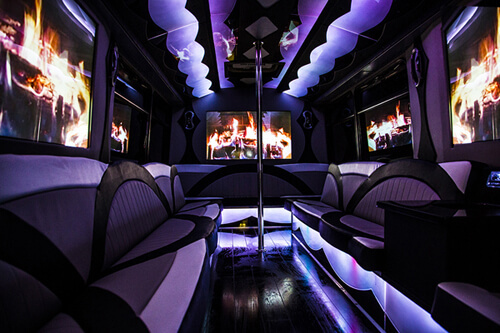 You'll find that limousine service in Toledo Ohio can be quite a gratifying and appealing process when you trust your limousine needs to our fine folks at Toledo Party Bus. When it comes to balancing between great vehicles and wonderful people to care for you and them, Toledo Limo has walked this fine line for years and continues to excel when it comes to customer satisfaction and repeat customers due to both our great product and superb client services. 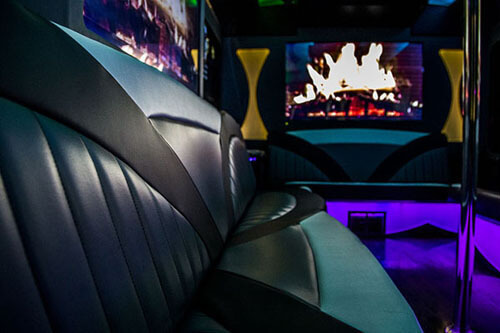 The limousine experience is much more than just a compelling vehicle to spend your night in. It is, from start to finish, the sum of the entire encounter with the company you will choose. 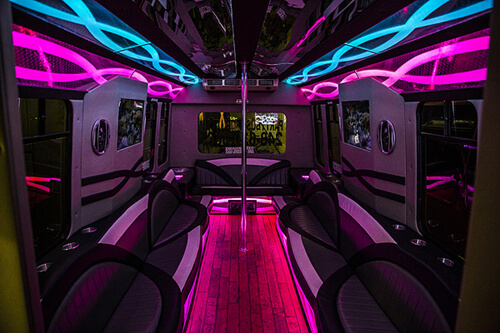 You'll find that doing business with Party Bus Toledo is a wonderfully smooth experience from the very first phone call to the time that you step off of your vehicle. But in between we hope you are ready for the time of your life. And the reason for that is the Toledo area and our amazing service are the perfect matches. There are so many things in the Toledo area that you are not going to want to miss like the Toledo Botanical Gardens, the Toledo Museum of Art, the Imagination Station and, of course, Tony Packo's. But the real charm and fun begins when you head to these destinations in one of our unbelieveable luxury entertainment transportation solutions. In an industry that has a good amount of competition, our company understands that you can pick any of the competition, or choose to go with us. To that end, we have worked endlessly in the pursuit of perfection. While no company can truly boast perfection, you will find that it is our goal to reach perfection or at least get as close as we possibly can and that is what separates our company from the rest. To endeavor to reach perfection is to tirelessly work towards total customer satisfaction throughout every stage of our business' dealings. We have a firm belief that it is in the details that extend towards both our clientele and our employees that makes us the best in the industry. We've found that this attention to both sides of the spectrum makes all the difference in the world in keeping a world-class organization growing and healthy. To us, our customers are like family and we want to always treat our customers like we would want to be treated. With all that said, we welcome you to take a look around our web-space and see what we offer and how we can make your event the most memorable day or night possible. In fact, we highly recommend that you have a pad of paper and a pen with you as you learn about what we do. That way when see something that makes you have questions or concerns you can jot it down for latter reference. We promise you that our special customer service agents will always treat you with the utmost respect. And keep in mind that if all you want to do is ask questions, we are fine with that. Our representatives love talking about what we do and they will talk to you all night long if that is what you need. Then, when you are ready, you can move to the next stage and they will be happy to walk you through the easy and painless booking process. But suffice it to say that you are in very good hands. Your satisfaction is our main mission. Not seeing what you want from us? 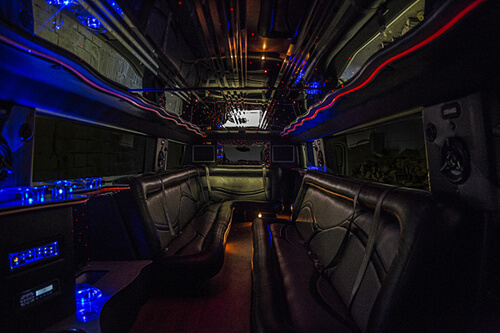 Give a shout out to Limo Service Denver or BoiseLimo for some help in other areas. We want to explain to you why we are the best in the industry. We go to great pains to make sure that what our customers receive is a very high level of quality. We want you to know that our vehicles are created to be the best they could possibly be and the way we keep them that way is by having certified mechanics on staff. Regular inspections and maintenance are scheduled to keep each vehicle in road worthy condition. For our customers, this means that you will not have to worry about being left stranded on the side of the road when you miss all of your fun plans. Another detail we have taken care of is related to our interiors. We have professional detailers on staff who meticulously clean every inch of the interior of a vehicle after it has been used. Believe us, you will not be sure whether you are stepping into a brand new vehicle or not. To complete this phenomenal picture, we only hire experienced and certified drivers who know the area roads very well. And just so you know, they always have GPS with them so getting lost is not an option. All of our team members make us what we are. And that includes our knowledgeable and courteous customer service agents. When you contact our office, one of our representatives will be more than happy to talk about your needs and believe us, they are experts at fitting groups to the perfect vehicle. 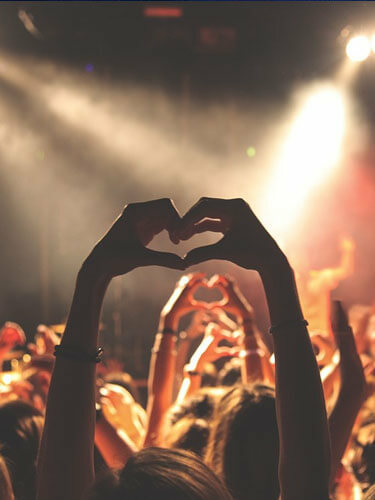 You just might be wondering what sort of events might be ideal for our services. Link onto the the following page in order to get a good idea of what we commonly provide service for during our travels around this great area. Know, however, that the actual list of what we've provided service for is far too extensive to put here. So, for your benefit, Toledo Limousine has provided a generalized list to provide some idea. Copyright © 2018 | www.toledolimousine.net | All Rights Reserved.